With the recent launch of Santo Cielo, a small but mighty culinary group known for excellence in traditional Mexican fare has gone global. 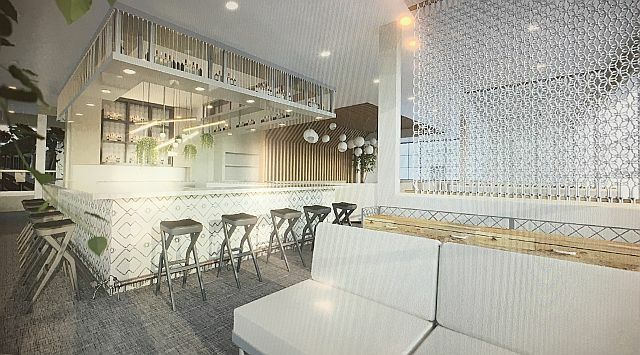 The name of the new restaurant and lounge translates to “good heavens,” a play on both the elevated menus and the location atop the Hotel Indigo in Naperville. 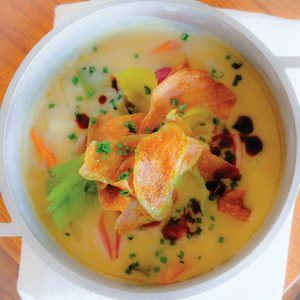 Santo Cielo dishes like the scallop chowder with glazed carrots and roasted leeks are heavenly. Santo Cielo is the fourth enterprise in the Bien Trucha Group restaurant portfolio, joining Bien Trucha in Geneva, A Toda Madre in Glen Ellyn, and Quiubo in Naperville. Led by culinary director Abel Cortes, the internationally-inspired menu includes scallop chowder, brisket sliders with pickled cucumber, miso-glazed sea bass, and charred Spanish octopus. The pizzetta is a palate-pleasing layering of avocado, serrano chile, fennel, cilantro and lime. 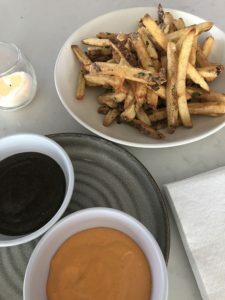 And the frites–the oh-so-addictive frites–are accompanied with hot-sauce aioli and charred tomatillo catsup. 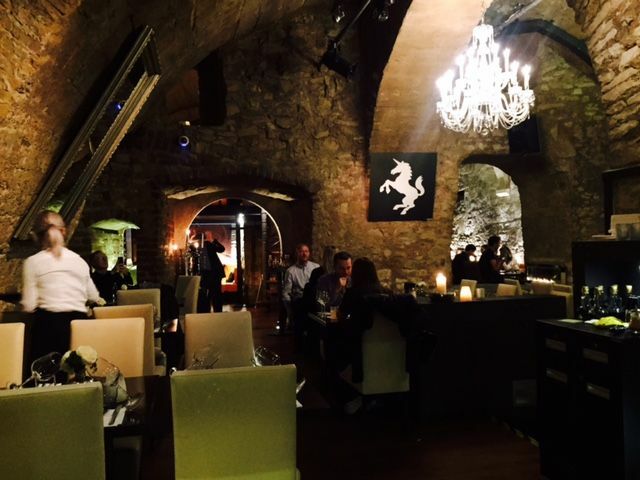 Equally intriguing are the specialty drink offerings, many of which are original creations or new twists on classic cocktails. The Cuba Libre, for instance, is concocted with aged silver rum, lime, angostura and cola foam. 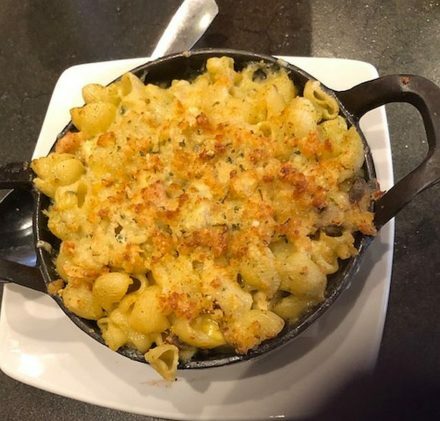 The restaurant is tastefully decorated in a contemporary style with expansive windows that frame Naperville’s downtown skyline and meandering riverwalk. 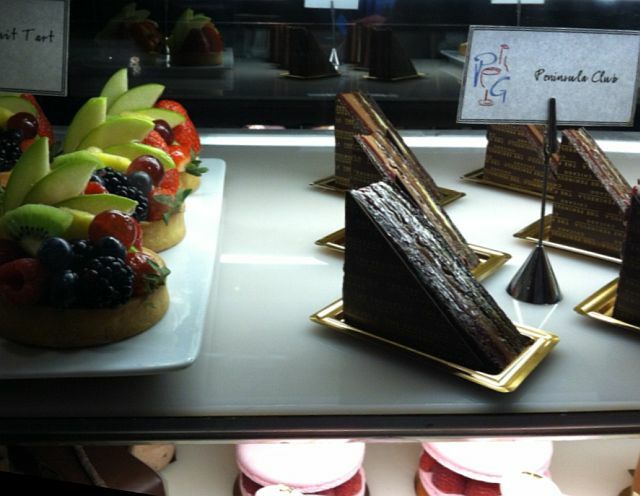 An open kitchen showcases chefs at work, and carefully curated music plays in the background. “We want people to come back for the food, but we want them to remember us for the experience,” Gonzalez-Mendez says. Bien Trucha’s first three restaurants have gotten high marks and avid followers. Santo Cielo is expected to follow in like fashion.